Endolaser is one of the newest vein treatments that eliminates the need for surgery. 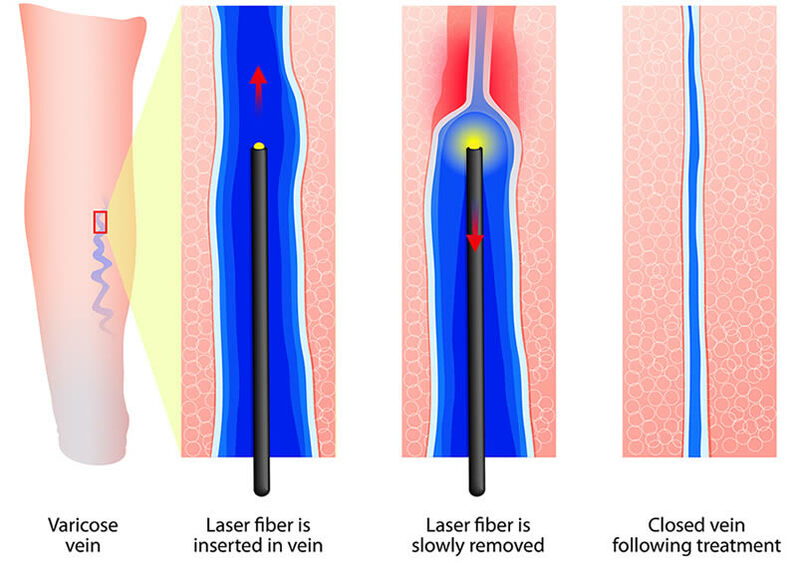 During an endovenous laser treatment (EVLT) procedure, a tiny fiber is inserted into the vein via a needle. Pulses of laser light cause the vein to collapse and seal shut, effectively reducing visibility on the skin surface and eliminating pain and other complications. EVLT is approved by the FDA for treatment of the greater saphenous vein (GSV), the largest vein in the body which runs through the leg, and the small saphenous vein (SSV). After treatment, the treated area is temporarily put in a compression bandage to keep the collapsed vein in place. I was referred to Dr. Nelson last year because of vein problems that were affecting several items regarding areas of my overall health. After a thorough screening I agreed when he pointed out the need for ablation of seven non-functional veins that were restricting proper blood flow to and from my legs. Dr. Nelson, his nurses and techs were very patient. knowledgeable, and skilled during the entire process, and I am very satisfied with the progress and improvement in my circulation since the procedures have been completed. I very much appreciated the consideration of Dr. Nelson and his entire staff as they answered my endless questions, explained the procedures and at times dealt with the fears of a 60 plus year old patient. If you have any questions about Endovenous Laser Treatment (EVLT), please do not hesitate to call us at 901.297.4000.